Autofriz is professional minimalist responsive OpenCart Theme built to create modern powerful e-commerce web-site. 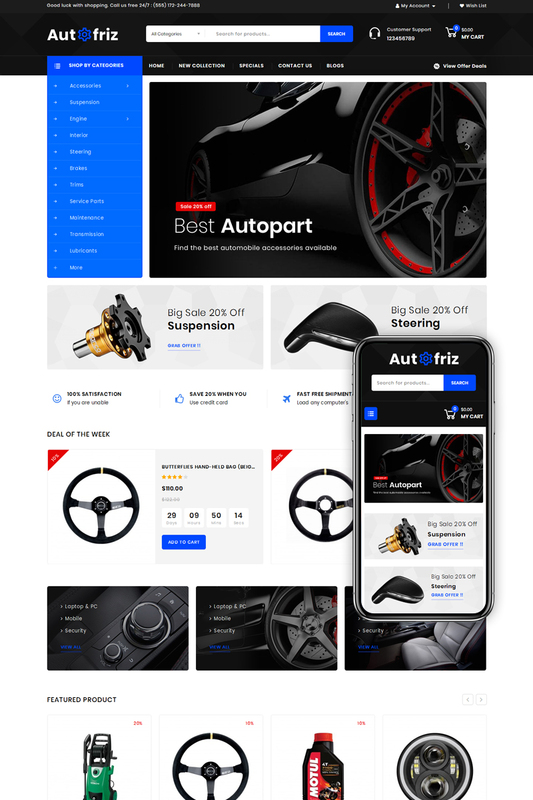 Autofriz Theme has a bundle of functioning features of a modern template for multipurpose in building a website and supporting the latest version of OpenCart 3.0.x. Including 1-click (QuickStart) to get a replication of our theme demo site on your website with sample data, graphics, theme settings & layouts. It is powerful Theme Customizer with flexible settings, fast loading, premium modules, fast support and much more.